The Executive Director Search Special Committee shall oversee the search for a new AALL Executive Director. 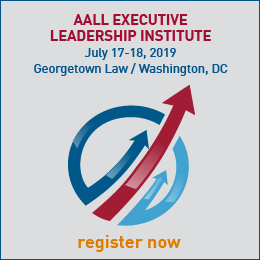 The Executive Director Search Special Committee is charged with overseeing the search for a new AALL Executive Director. The Committee will work with an executive search firm to create a position profile, to identify and solicit applicants, to interview a group of candidates, and to recommend to the Board up to three final candidates. The search will be national in scope to attract a highly-qualified and diverse pool of applicants. Applicants with work experience in a library or legal related association or management organization are preferred. Current members of the AALL Executive Board are ineligible for consideration. 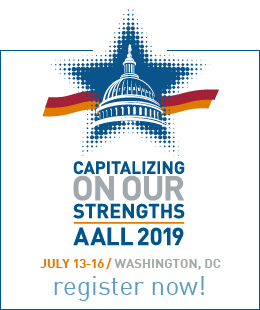 The Committee will keep the AALL Executive Board informed about the process and the timetable to be followed. The final step in the Committee’s work will be to provide the AALL Executive Board with a confidential report containing a summary of the process followed, a detailed rationale, and a recommendation of up to three final candidates, ranked in order of Committee preference. The work of the AALL Executive Director Search Special Committee will begin in early April 2018, and end in August, or when a successful search has been completed. Committee members will also attend any planned interviews at meeting(s) in Chicago. The Committee’s term expires upon presentation of its prioritized list of candidates to the Board. The Committee shall consist of a chair and seven (7) members. The AALL Director of Finance and Administration will serve as the staff liaison.